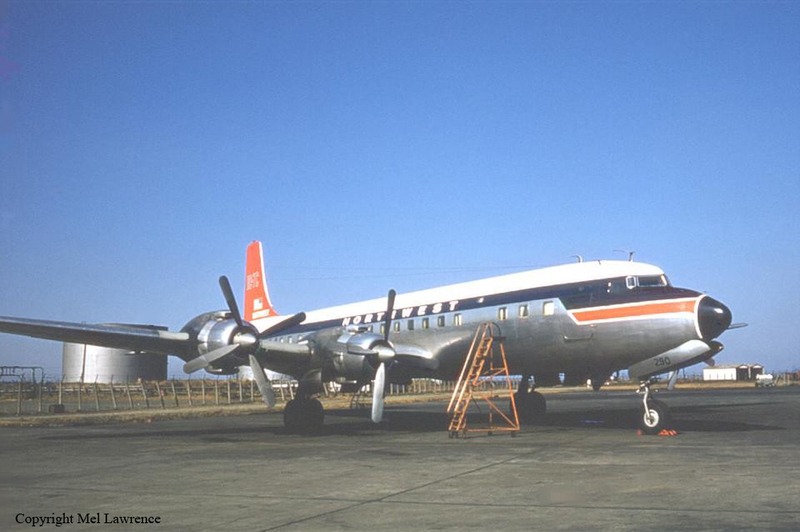 A Northwest Airlines, Inc., Douglas DC-7C, N290 MATS charter Flight 293, crashed in the north Pacific Ocean approximately 116 nautical miles west-southwest of Annette Island, Alaska, at approximately 1816 G.m.t., June 3, 1963. The flight departed McChord AFB, Washington, for Elmendorf AFB, Alaska, carrying 95 passengers and a crew of 6. The passenger list included military personnel, dependents, Department of Defense employees and a Red Cross employee. All occupants of the aircraft were lost at sea and the aircraft was destroyed. The aircraft had been airborne approximately 2 hours and 35 minutes when radio contact was lost. No difficulties were reported by the crew prior to this time. The wreckage was sighted by a Royal Canadian Air Force aircraft at 0322 C.m.t., June 4, 1963, at 54 degrees 21' N - 134 degrees 39' W but no survivors were observed. Approximately 1,500 pounds of floating aircraft wreckage was recovered. Because of a lack of evidence the Board is unable to determine the probable cause of this accident.